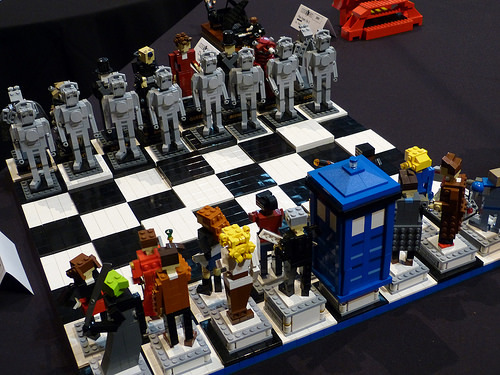 Adam Dodge has built a fantastic miniland-scale Dr Who chess set. The figures and characters he’s created for it are fabulous – various Doctors and companions facing off against a collection of classic enemies and villains. We have a whole bunch of the Doctors’ various companions. How many of them can you name?